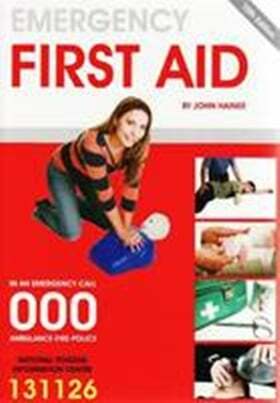 First Aid Books that are Suitable for Workplaces in Australia. It is hard to remember ‘all’ first aid responses to every situation unless you have a broad life-saving experience, so having a first aid book in your workplace or office is a handy reference. Here is a list of bestselling first aid books to guide and help you respond appropriately to injuries and emergency situations that can happen anytime. These books cover in depth discussions on first aid topics, types of injuries, medical information and how to provide immediate medical response during emergency situations. 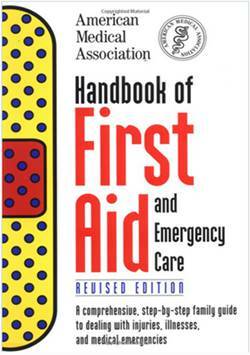 Some books also cover advanced topics on first aid cases. Note: Alsco do not sell any of these books, they are available for sale either on Amazon or other online bookstores. The 5th edition of the American College of Emergency Physicians’ First Aid Manual is updated with more than 100 different conditions from faints to fractures, strokes, and unconsciousness. It also shows the exact step-by-step photographic sequences and procedures to guide you on what to do when these conditions arise. Each emergency condition has a clear explanation, with an outline of causes, symptoms, signs and action plans. The latest version has the instructions easier to follow. A life-saving reference that you can keep with you at home, in the car or while traveling. The updated design makes the emergency first aid procedures easier to follow. The American College of Emergency Physicians First Aid Manual is a traditional first-aid guide, but what makes it stand out is the inclusion of color photographs clearly depicting the emergency or first-aid situation being discussed. Even readers with limited training will find it easy to follow the instructions by looking at the photographs. The American College of Emergency PhysiciansR First Aid Manual is a traditional first-aid guide, but what makes it stand out is the inclusion of over 500 color photographs clearly depicting the emergency or first-aid situation being discussed. Even readers with limited training will find it easy to follow the instructions by looking at the photographs. The book is divided into color-coded sections for easy access to information. Krohmer, the book’s medical editor, is both a professor of emergency medicine (Coll. of Human Medicine, Michigan State Univ., Lansing) and director of EMS, Emergency Medicine Residency in Grand Rapids. Showing you how to treat someone suffering from over 100 medical conditions and injuries, whether a minor burn or a heart attack, this latest edition of the best-selling American College of Emergency Physicians First Aid Manual gives you the knowledge you need instantly if someone becomes ill or gets hurt. This is an authoritative guidebook that shows how to handle every type of first aid emergencies. 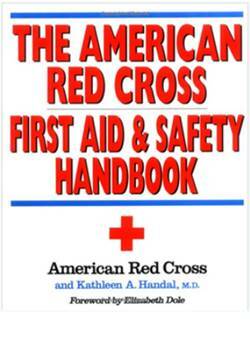 This handbook is based on course materials used by the US Red Cross chapters. The first moments after an injury occurs are the most critical. 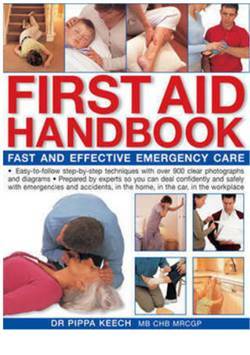 Every household needs a first aid book and this is a good one. “…It is well written, easy to understand, and contains a wealth of information that can help you in every situation from a paper cut to a broken leg. I picked this book in particular because of its affiliation with the Red Cross. I am not a health care worker, but I figure I can have confidence in anything the Red Cross puts their name on even if it is a little out of date. I remember my mother keeping an old Red Cross first aid manual in the house when I was a kid; I would consult it whenever my teddy bear needed a sling or bandage. My bear survived, but I’m not sure what happened to that book. Happily, I found this new Handbook. This textbook is designed particularly for the academic market. It facilitates learning and comprehension of the knowledge and skills needed to effectively respond to emergency conditions. The revised 2012 edition is updated with the latest science in emergency cardiovascular care and first aid. The book covers first aid as a stand-alone course, but can also be combined with Child CPR/AED or Adult study questions that can help you use the skills needed to respond in any emergency condition. 4th Edition available in Amazon. Learn the skills necessary to respond to emergency situations and discover how practicing a healthy lifestyle can help prevent injury and sudden illness. You’ll also be trained to make first aid decisions and provide care for a wide variety of emergencies until professional medical help arrives. The American Red Cross in Greater New York is a nonprofit humanitarian organization, led by volunteers, that provides relief to individuals affected by disasters and helps people prevent, prepare for, and respond to emergencies. It accomplishes this mission through services that are consistent with its Congressional Charter and the Fundamental Principles of the International Red Cross movement. This book will help you take a fast and effective action to stabilise an emergency situation. Every second counts during a medical emergency, so whether you are miles away from help or in an urban disaster situation, you will know what to do. You can be prepared by arming yourself with the knowledge of first aid that can save a life. Broken bones and injured joints. Plus, you’ll find detailed packing lists for survival first aid kits in various sizes. 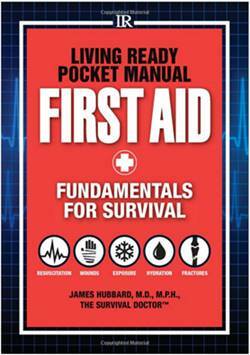 You can add this pocket-sized manual to your first aid kit, day-hiking packs or vehicle kits. Dr. James Hubbard, MD, MPH, is a best-selling author, speaker and publisher of TheSurvivalDoctor.com. He writes easy-to-read books on how to deal with medical problems during a disaster, while stranded in the wilderness or whenever expect help is impossible to get. He believes that lifesaving medical information shouldn’t be reserved for health care professionals only. “Everyone deserves the chance to survive,” he says. If you want to be prepared medically when there are emergencies or disasters, and help is NOT on the way, this handbook is perfect for you. This book does not only teaches you standard first aid, it also assumes that no doctor or hospital is available in the given circumstance. It guides you and gives you the tools to handle injuries and illnesses when you might be the only hope there is. It is geared to enable the non-medical professional to deal with all the likely issues they will encounter in catastrophic and emergency cases. It is a valuable go-to reference that you can use whenever a doctor is not available. EXTREMELY USEFUL, INFORMATIVE, AND CONCISE! “…Although I have collected hundreds of books that cover this topic, I felt this one is extremely useful for my daughter to have in her home. This handbook outlines several conditions for one to identify with as it offers step-by-step instructions, with solutions for unexpected health problems. This informative guide also prepares for any disaster, where help is not on the way. It is specifically designed for the non-medical professional to help deal and cope with unexpected issues during emergencies. Excellent medical advice from a doctor. 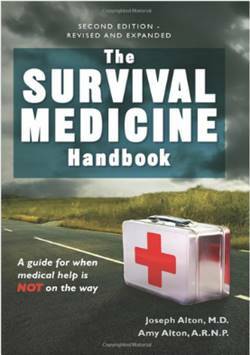 The information in this book might save your life if you are ever in a survival situation and need medical attention. This book has a complete set of guides and tips on what to do in case there is an injury. The book addresses everyone so you can extend help to someone who suffered a wound or an injury in an unfortunate event. It teaches us to save a life when needed. The ultimate first aid handbook from the experts! The AMA Handbook of First Aid and Medical Care is the go-to reference for emergencies that no home will want to be without. Full of practical, clear, and easy-to-understand advice, this resource ensures that every household is prepared for any type of medical situation. Includes line drawings and instructions to help people through emergency situations, as well as a medical information chart that everyone should have on hand. The American Medical Association Handbook of First Aid and Emergency Care gives you a quick, easy, and clear information on what you need so you can make a difference between life and death. This is a first aid book that is particularly designed for Australian conditions. 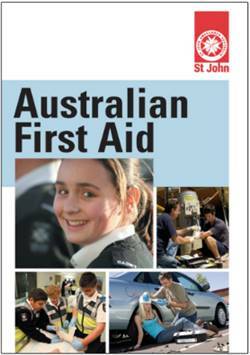 Australian First Aid Manual by St. John Ambulance Australia is a comprehensive authorised manual that is created to support St. John first aid training. It covers clear and simple first aid advice, easy to follow how-to’s for any emergency, latest research as reviewed by St. John experts and consultants. It also includes DRABCD action plans, resuscitation techniques and management of other life-threatening conditions. It represents the culmination of over 100 years teaching and practice of first aid. At the beginning of the book, there is a quick guide to assist you with first aid emergencies, then followed by a number of colour-coded chapters that covers the mostly encountered injuries and illnesses. This book is also available in Boat Books Australia. The Emergency First Aid covers 100 critical subjects and is the authorised workbook of Australian First Aid. 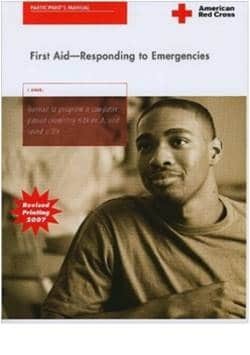 It is an informative, comprehensive and stimulating book that will equip readers with the skill and ability to handle emergency situations using life-saving techniques. It is the culmination of all the years of work by an experienced mobile intensive care paramedic and managing director of Australian First Aid and Medic Media International, Mr. John Haines. He has over 30 years experience on First Aid provision and teaching. This is an ideal teaching aid for trainers and educators or an excellent manual for every home. Covering all major First Aid Emergencies. 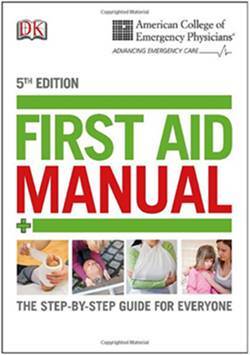 It is widely preferred First Aid Manual on the Australian Market today. There are already 19 editions of this work. Published: [Upwey, Vic.] : Medic Media, 2009. 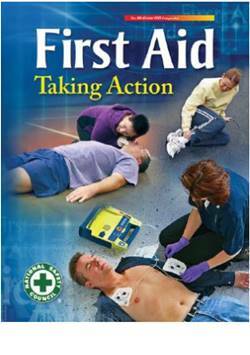 This book covers all materials and information required to finish a semester-long First Aid course. It focuses on teaching how to identify and respond to emergencies and how to sustain life until professional help can arrive. It also features guidelines on how to perform proper CPR, choking care, how to use an AED, and how to assist breathing and cardiac emergencies based on the 2005 national guidelines. An injury or sudden illness may not be life-threatening, but immediate action can mean the difference between a quick complete recovery from a long, painful one. The National Safety Council’s book teaches readers to care for an injured person or sick person while waiting for professional help to arrive. Call 1300 077 391 or fill in the enquiry form and ask about our obligation-free First Aid audit.